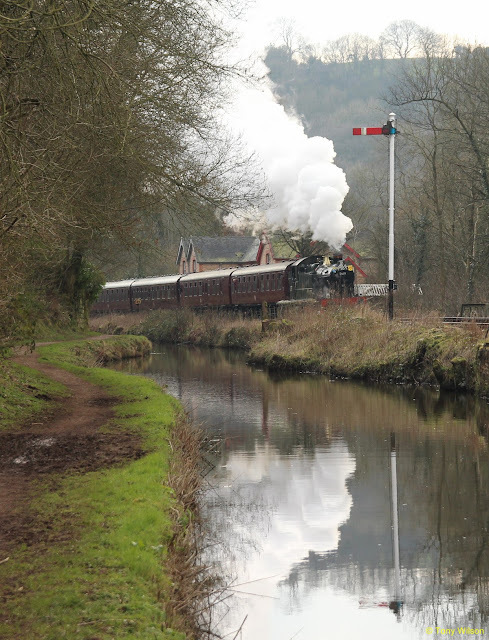 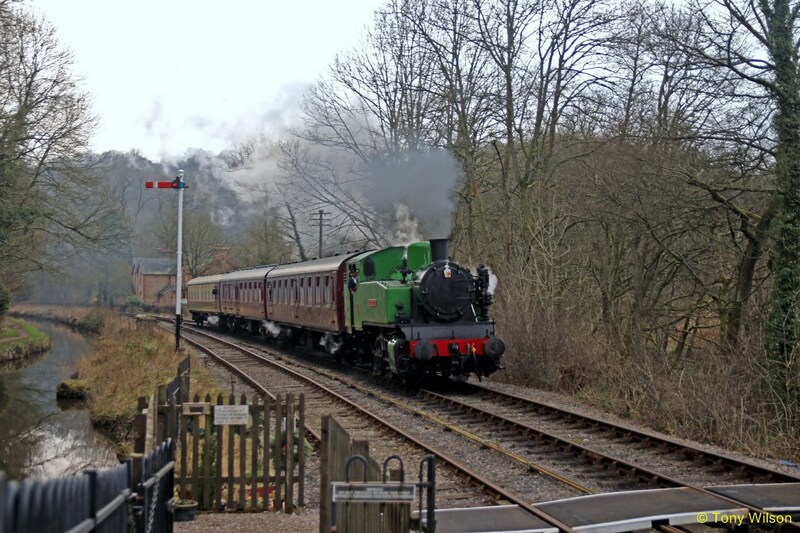 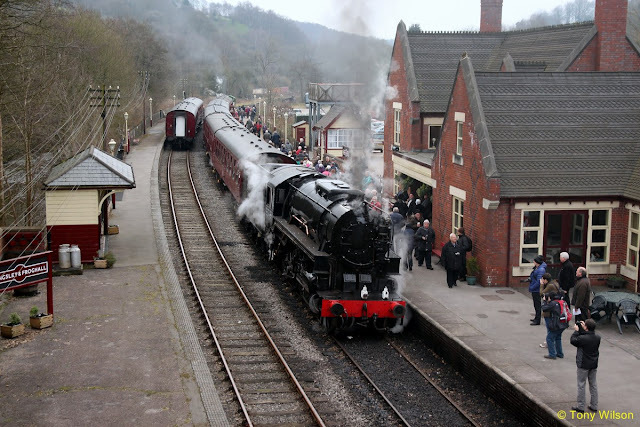 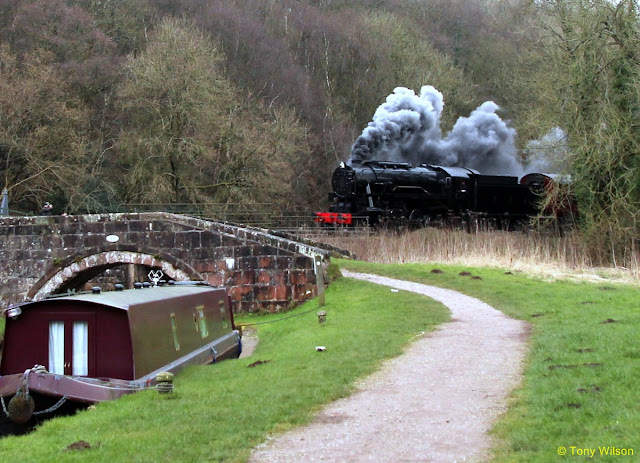 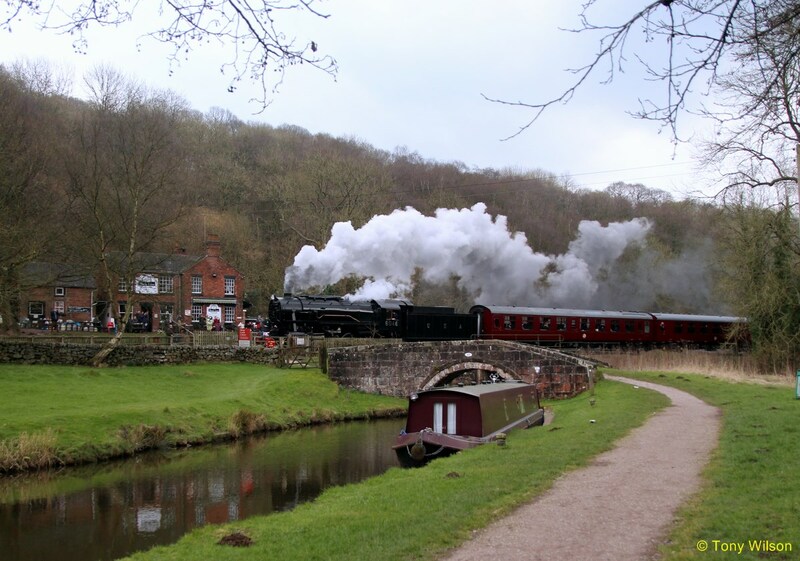 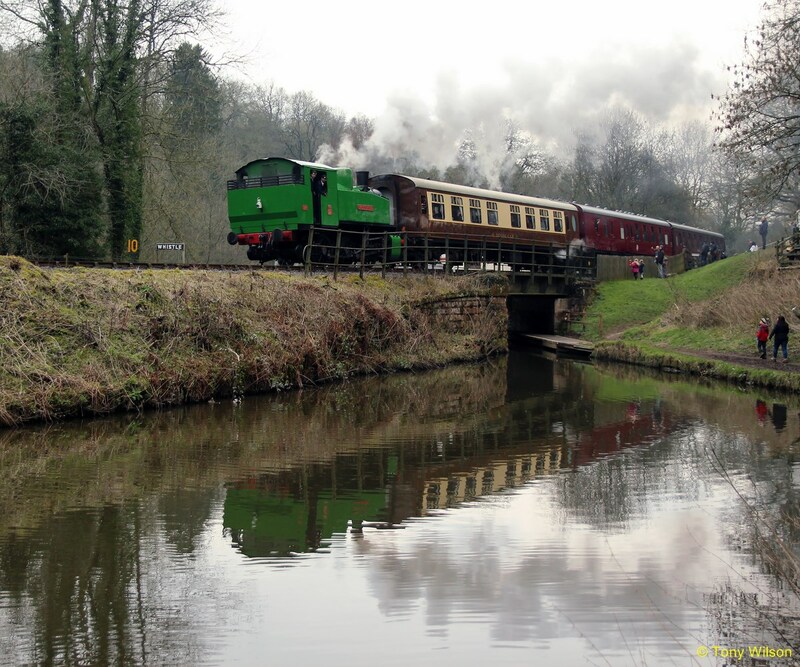 Over the weekend 27/28th February, the Churnet Valley Railway held their Winter Steam Gala. Using the now closed line between Stoke-on-Trent and Uttoxeter, the part now in preservation runs from Kingsley & Froghall Station to a loop working at Ipstones a distance of about 10-miles. However, as the crow flies the distance is but 2-miles. 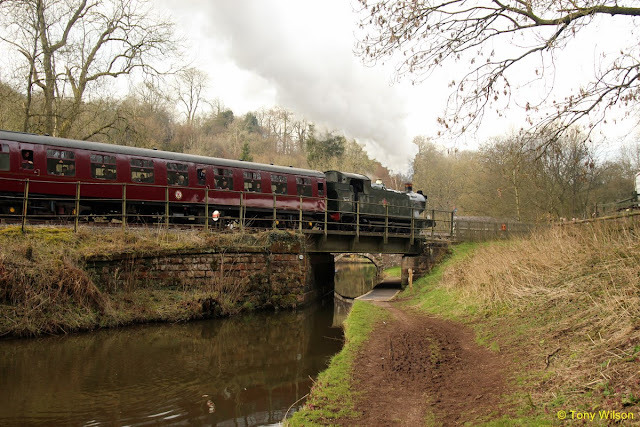 The line passes through splendid countryside and as its name suggests, along the Churnet Valley and part way beside the Consall Canal plus a long steep gradient up to Ipstones. 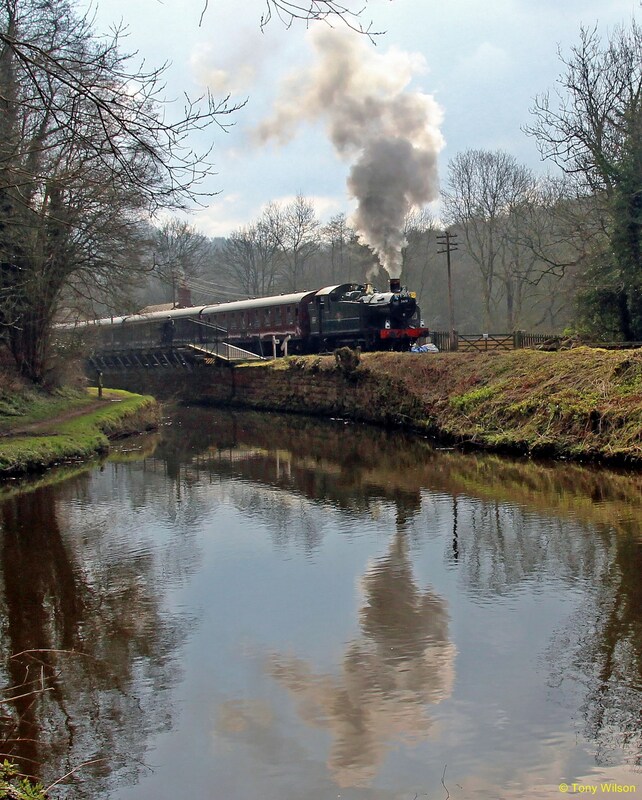 Plenty of good photo opportunities along the way with steam and reflections in abundance owing to the clear and sharp weather conditions at this time of the year. Added to the atmospherics were the working sounds of the steam engines as the hauled themselves up the long gradient, with whistles and puffing echoing through the valley. 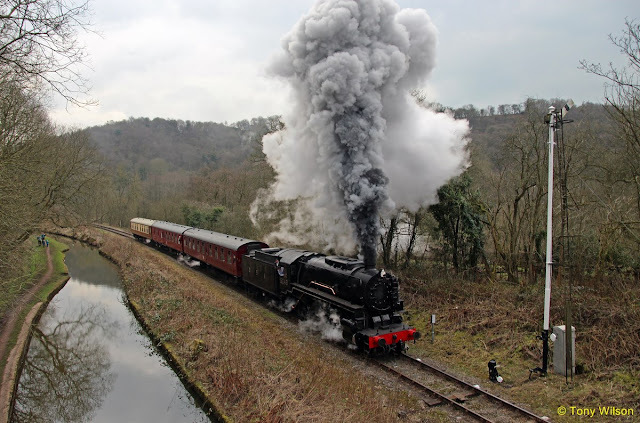 Steam engines on duty included 6046 a United States of America TC S160, which is to a British 8F type. 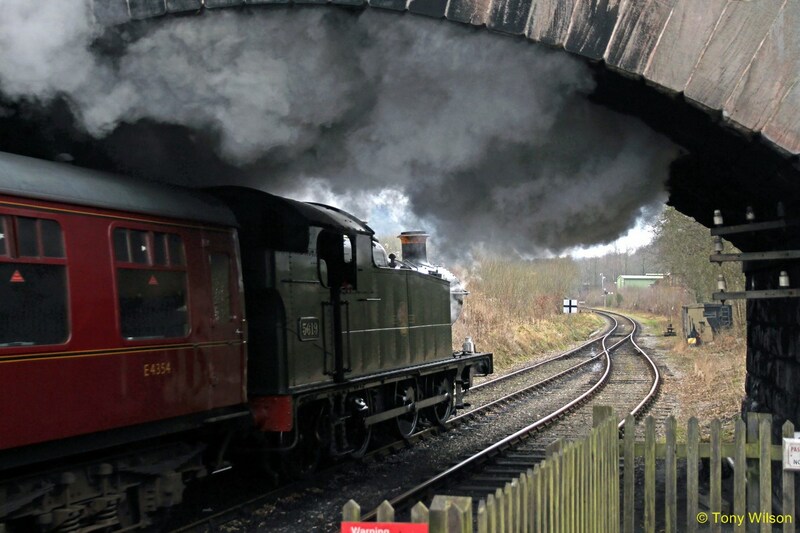 A huge beast and believed to be one of only two working versions in the UK, the other on the Keighley & Worth Valley Railway. The day was also the first gala appearance of a Polish TKh number 2944 and named “Hotspur”, but sadly the last of operation of GWR tank engine number 5619.